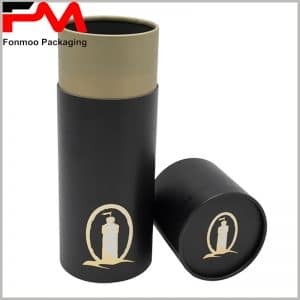 If you are looking for a wholesale factory solution of small cardboard round box packaging 230g box, here is a good choice that will very possibly fit your needs. This tube box is mainly made of SBS, single chrome layer cardboard, and 90g double chrome paper that gets it smooth both inside and outside. On the exterior surface, a dark galaxy with shining stars is printed by CMYK printing technic, giving a good esthetic effect for product decoration. The box has a very classic structure: body and mock-up lid, very friendly for users. You can use it for packaging your gifts, but more especially essential oil or other types of cosmetic liquid bottles. Although the decoration is of high quality, the price for this package box is not expensive. 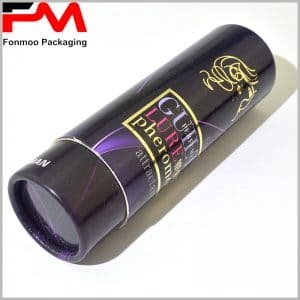 If you want to make your own tube packaging box based on this model, just get in touch with us and tell us your needs. 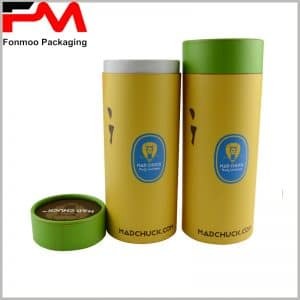 We will certainly work up a good tube packaging supply solution for your needs of cardboard round tube packaging box.